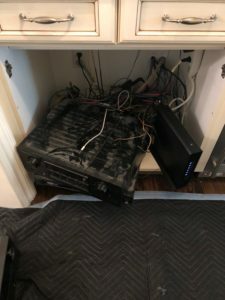 Imagine all the dust inside that cabinet. Initially, our conversation started with a WiFi problem. 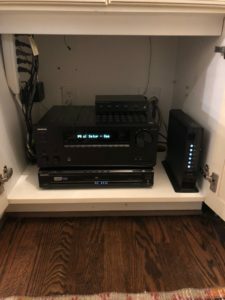 As we paced thru the different phases of Audio Video upgrades throughout the years it became apparent very quickly, to me, that these Home Theater Components can be re-purposed. They just need an Audio Video update!